If you really want to stop smoking tobacco or cigarette, no doubt electronic cigarette is best alternative. In this article we have few basic tips for electronic cigarettes or vape pen you should take into account especially if you are novice. We really want you to quit tobacco and enjoy the world of vaping, so we encourage you to have these 5 tips keep in mind. 1. What do I do with the flavors of the e-liquid? It is true that there are many flavors and it is really interesting and normal to generate interest and curiosity to try them, especially when you first enter an electronic cigarette store without much information and without knowing what to do. But our advice is that you understand that at this point you are still a traditional smoker, and your first objective is to stop smoking, so we advise you not to play with the flavors at first, it is better to leave it to a future for when you are already completely unhooked or at least you have advanced a lot in your commitment to stop smoking. 2. How do I get nicotine? It is normal to worry about the nicotine graduation since what you want is to give up this habit, but you must bear in mind that in reality you have been absorbing important nicotine levels for years, so you will have to control nicotine levels at the beginning of the reasons for concern. The most normal thing is to start regulating nicotine when you have abandoned the habit of smoking traditional electronic cigarettes, until this time comes we suggest you basically worry about enjoying the world of vaping to finally give up tobacco. In short, use the level of nicotine needed to stop smoking, if after a few weeks you are still very anxious about tobacco, you may have chosen a nicotine level too low for your electronic cigarette. Resistances, known within the vaping world as atomizers or wicks, wear out due to use. We recommend that you always have spare parts since they are important for the electronic cigarette to work 100%, offering abundant steam and also so that you do not release puffs with burnt taste. If your electronic cigarette begins to produce little steam or tastes like burning, it is a sign that the time has come to change your resistance. If it is not done on time, your process to stop smoking will be interrupted. If you have it in mind it is really easy to have a spare battery charged, it is not any nonsense since at the beginning if you have a cigarette available for use you can spend a moment of unnecessary anxiety. 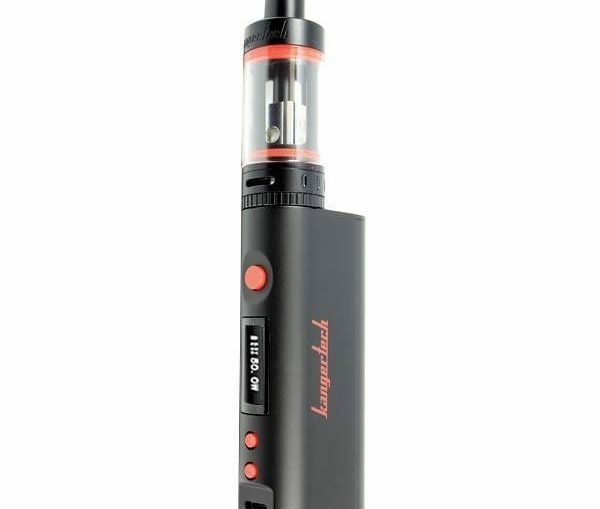 Normally the start kits come with two cigarettes this allows you to always have a charged battery, and there is also the possibility of buying loose batteries. The new models MODs also have batteries of much more capacity than normal, taking away worries about the charges, because they allow you to take care of the recharge only once a day or every several days, depending on the use. We are sure that you have managed to quit smoking or that if you are starting you can achieve it, at this time we encourage you to take a leap towards high-end electronic cigarettes such as MODs and start enjoying all the flavors and accessories that you can have. Do not hesitate and expand your experience in the world of vaping. You will not regret it.